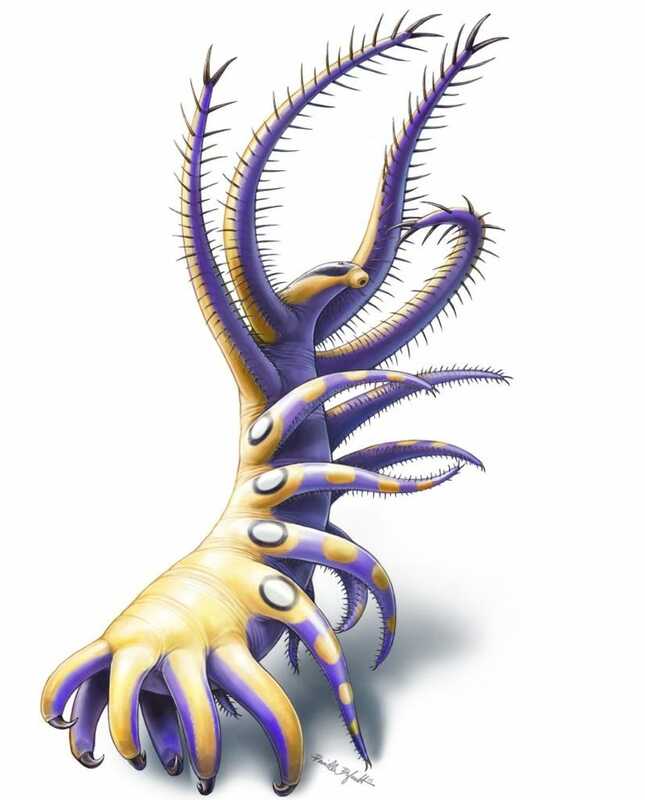 A stubbly, worm-like creature featuring as many as 30 limbs combed the seafloor during the early Cambrian period, according to new research. Its bizarre appearance and feeding behaviour are unlike anything ever seen before. Researchers digging in British Columbia’s Burgess Shale have uncovered the fossilised remains of a 500 million-year-old lobopodian. Named Ovatiovermis cribratus, the newly described animal was only a few inches tall, and filter-fed by waving its body back and forth to scoop up tiny prey. Given its extreme age and unique physical characteristics, scientists say it’s one of the earliest examples of arthropods in the fossil record — a group of animals that includes insects, spiders, scorpions, and crustaceans. Together, these animals comprise a catch-all group known as the “panarthropods.” The discovery of Ovatiovermis cribratus — with its smooth legs and filter-feeding behaviour — is now considered the most primitive known member of the panarthropods.